ZAKA chief officer outlines guidelines for community leaders who choose to remain in Irma's path. ZAKA Chief Officer Mati Goldstein on Thursday sent a message to Jewish emissaries remaining in Hurricane Irma's path. ZAKA is an Israeli emergency response organization. In his letter, Goldstein said, "If you decide to stay for any reason, please be aware that....different countries around the world were [recently] under very catastrophic weather, from the floods in India, to the floods in Houston until the hurricane in the Caribbeans, and possibly in Florida." "In all those places, we have Jewish communities, Jewish organizations, Chabad houses and our great leaders," Goldstein continued, outlining guidelines for "those who decide to stay in the community to continue to lead your Chabad House, or to continue your very important job." a) Please make sure that you have a home and office or anything that can keep you safe from 150 miles of wind and flooding - which means – try to pick a place which is on the one hand close to the people you want to serve, but it should be on the second or third floor and possibly made out of concrete. b) Make sure you have enough generators and fuel to run your safe zone for at least 4 days. c) Make sure you have enough food that does not necessarily have to be in the refrigerator or freezer to feed the capacity of people you think are going to be in your safe zone. d) Try to create a list of members of the community that decided to stay, so that if something happens we have a list of members to work with in order to make sure that they are safe, and if not, to make sure to rescue them and take care of them. e) Make sure you have a plan of action if things get very bad and pick a location where search and rescue teams can meet you and take you to a safe zone. 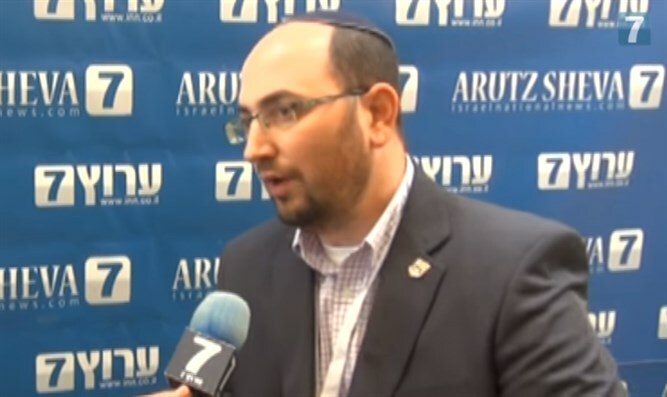 "Shlichut (being an emissary) is a very common thing in the Jewish world," Goldstein explained. "As leaders, you have the opportunity to make a big difference and to lead people in communities to a very high level." "However, in disasters we have to be prepared like in every other topic we deal with. "I wish you all a Shana Tova and hope you are well. Try to keep the above 5 points. If you decided to stay in your community, always know that we will be there to help you if anything goes wrong." Hurricane Irma has already claimed at least eight lives, and Harvey has claimed at least seventy.